In earlier times a manicure at a beauty salon was a fashion statement for many women. Getting the luxury treatment at a salon and getting nails painted with plain shades was the in thing. However, with the changing times, filing and painting your nails is not enough. 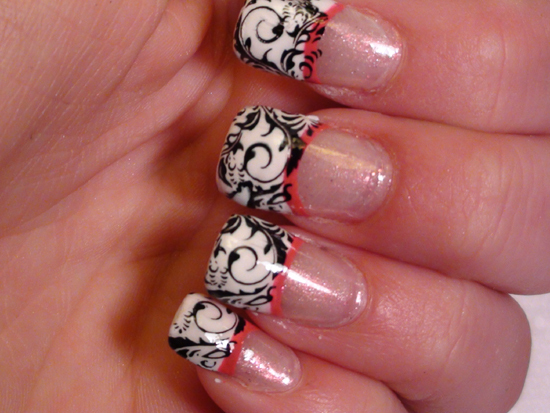 Nail art has completely changed the picture. It has caught up rapidly and it has become a major fashion statement. 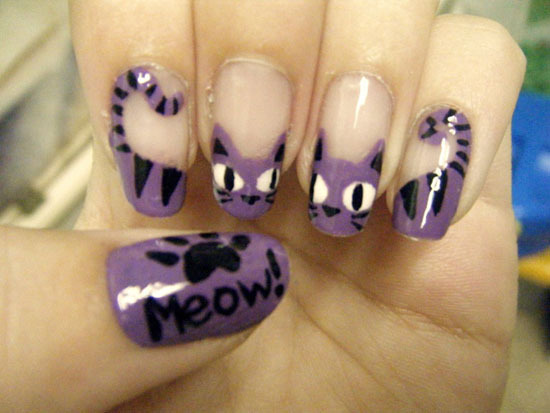 Apart from small salons, full fledged nail art parlors have come into business. 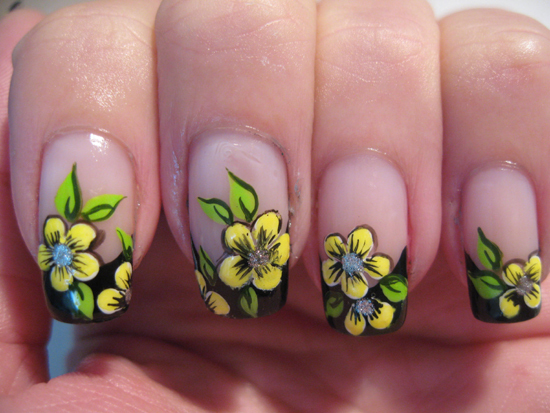 Like spa and hair salons, nail art salons are completely different. 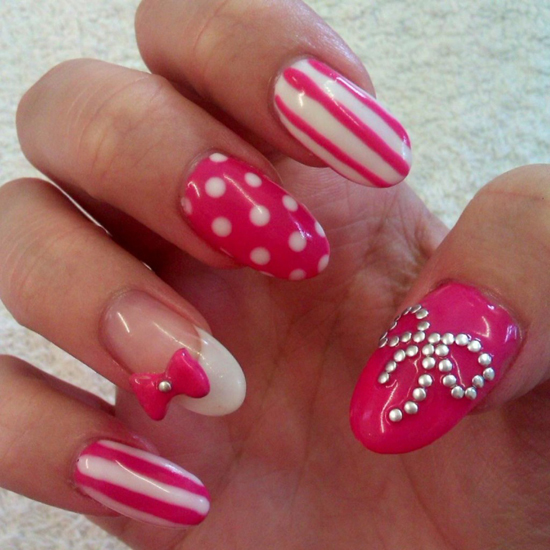 They have professional and special equipment to finish and polish your nails. 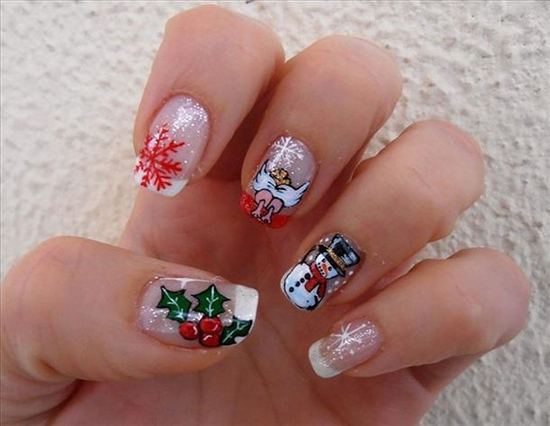 They offer you a wide range of nail art styles to suit your requirement. 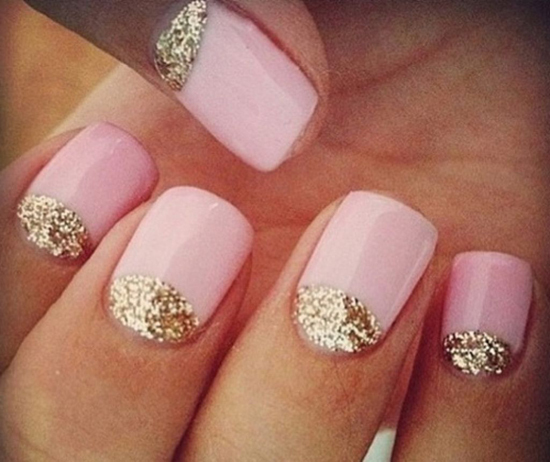 Dress up your nails for any occasion. 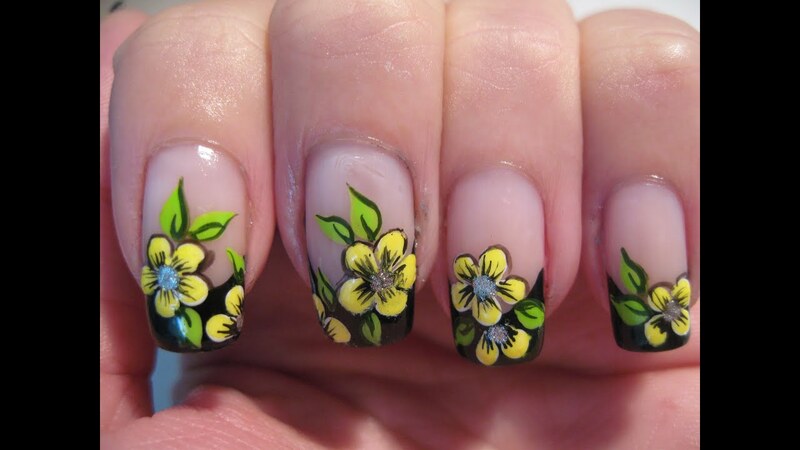 Be it a simple dinner, wedding invitation or funky nail party, these nail art spa & salons have the answer. 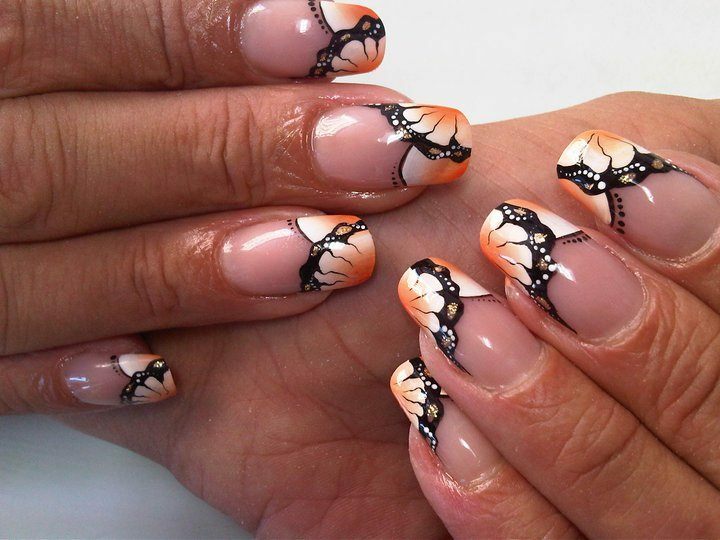 These parlors give your nails a complete transformation and make over each time you visit them. 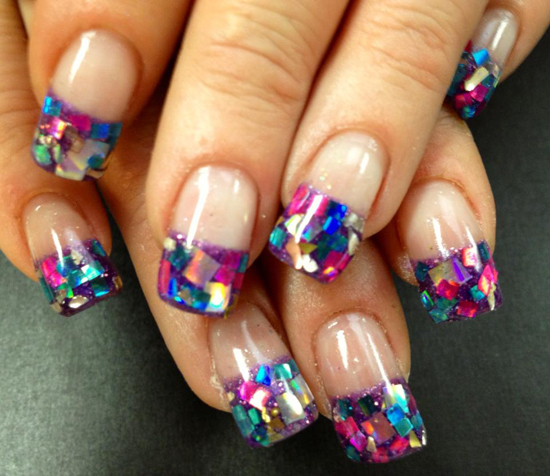 They cater to your every need for your pretty nails. Nail art has turned into a huge business even in small cities and towns. There are many styles that one can select from. Some people prefer light colors while others would prefer vibrant colored patterns. 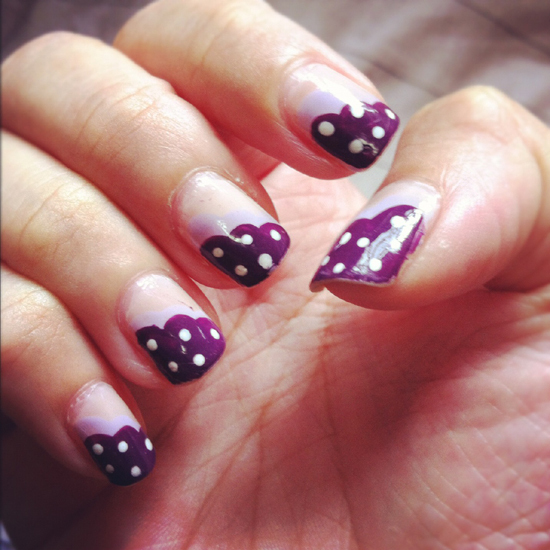 One of the most popular styles in nail art is the French Manicure. 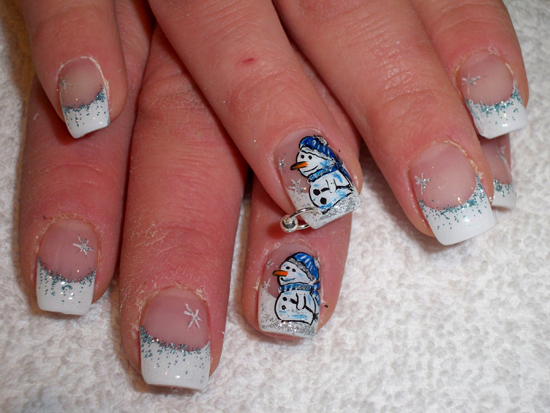 French nails are very popular among women and are preferred by most. 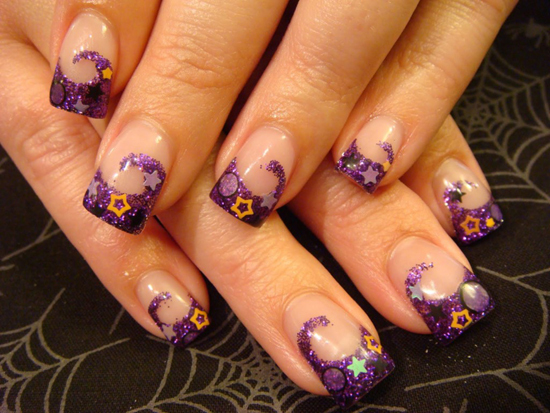 One can find thousands of French nails designs patterns that suit every occasion. They look highly classy and sophisticated perfect for a wedding, board meeting or a regular brunch with friends. 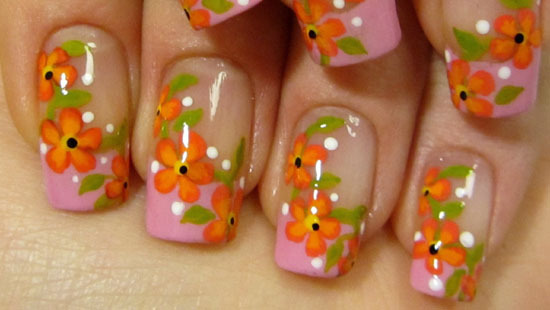 Women who are fond of vivacious colored nail designs shouldn’t get disheartened. 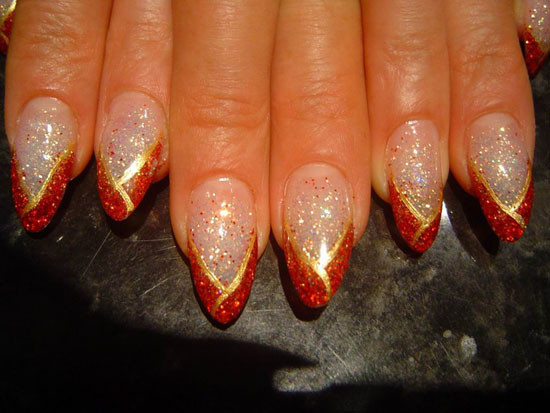 There are various funky and pulsating French nail designs available for them as well. 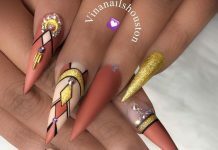 If you are wondering what is the difference between regular nail art and French nail art then here is the answer for you. 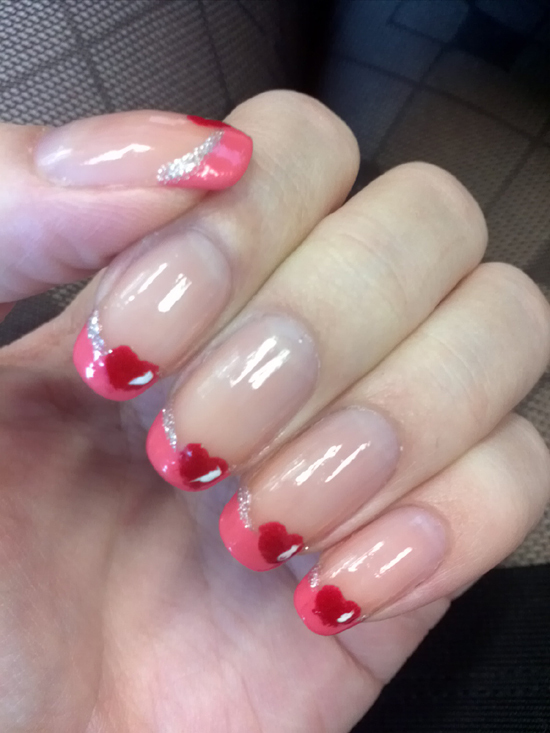 French nails are done up with the use of two or more colors. First, a neutral color is used to apply on the entire nail and another color, usually matte white, is used to highlight the tips. 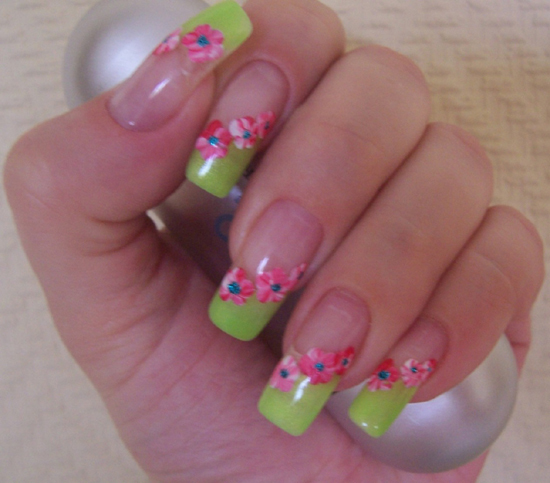 However, one can now see many new and unique colored French nail designs. Lastly, for the complete touch a transparent coat is used to seal the different colors used in the manicure. 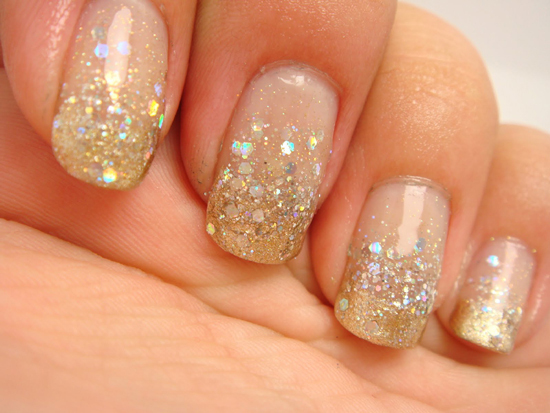 You can enhance your French nail art with glitter paint, danglers or stones for striking impression. 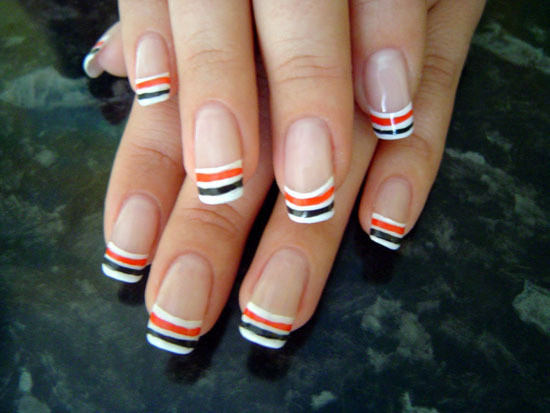 There are a few extra steps involved in a French manicure unlike the regular manicure procedure. 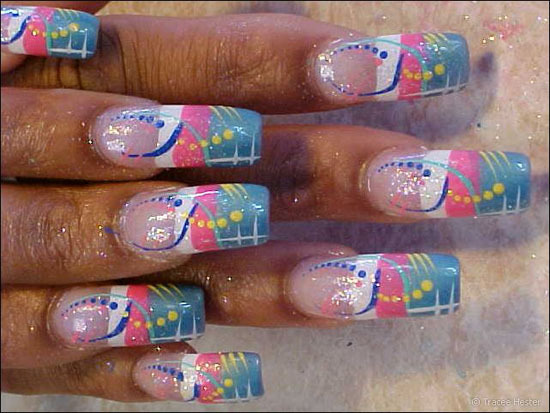 Women can visit the parlor for French nails designs or there are many starter kits available in the market. 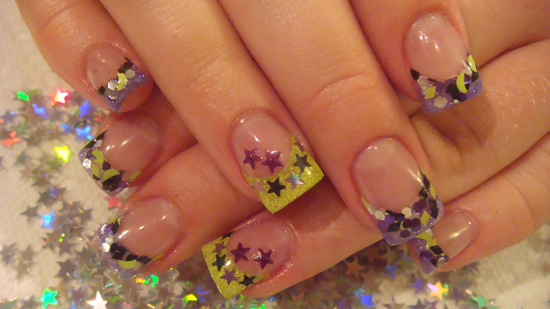 These kits help you to get the perfect French nails in no time. 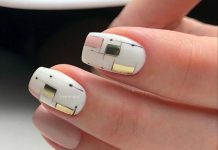 French nail kits are marked from beginner to advanced levels with different tools and techniques. 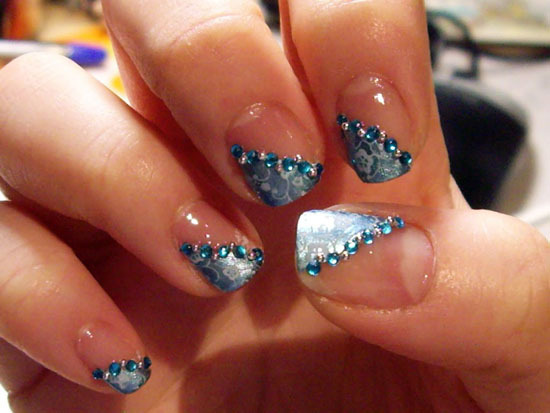 One can also surf the internet to view many DIY videos for French nail designs. 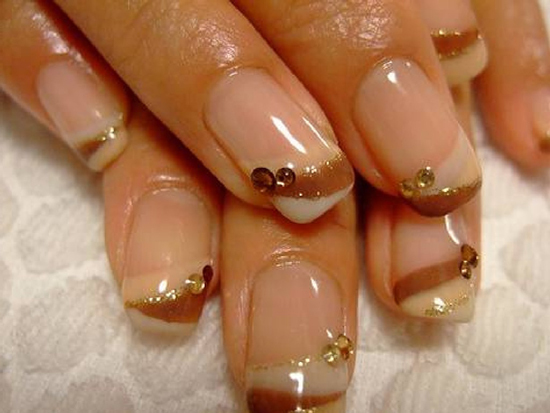 We bring for you 40 awesome French nail designs that will entice you completely. 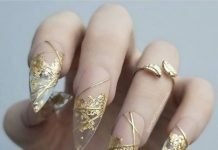 Use these nail art ideas to create eye-catching French nails and be the envy your friends and family.